Every writer knows that writer's craft is almost as much about reading as it is about putting pen to paper. No matter what you like to read, immersing yourself in the craft of others is not only one of the best learning tools for a writer, but it's also one of the most fun! I wrote in a previous post about how I do a reading challenge every year, and that experience has prompted me to reflect on some of the books I consider to be essential reads for writers. This book is a collection of essays by one of the trailblazers of creative nonfiction and is a must-read for anyone interested in the genre. McPhee shares tails from his own experiences that illustrate the art and craft of everything from structure to interviewing. I particularly enjoyed the chapter on Frame of Reference which focuses on how to paint images that will stand the test of time and resonate with readers. This book was assigned reading for the first semester of my MFA program and I think it's a great read for anyone who is beginning to explore the art of narrative. While Hart also focuses on nonfiction, I felt that many of his principles on the nature of narrative are applicable across the board, regardless of genre. If you're dipping your toe into the idea of writing your first book-length piece, I highly recommend you give this a read. I read this book a while ago now, but my mind keeps coming back to it. I think Big Magic really resonated with me because I very much agree with Gilbert's approach to the creative process. If you're in a creative rut or you're looking to build creative living into your everyday routine, Big Magic just might be the book you need to reshape your outlook on creativity in a way that focuses equally on productivity and joy. 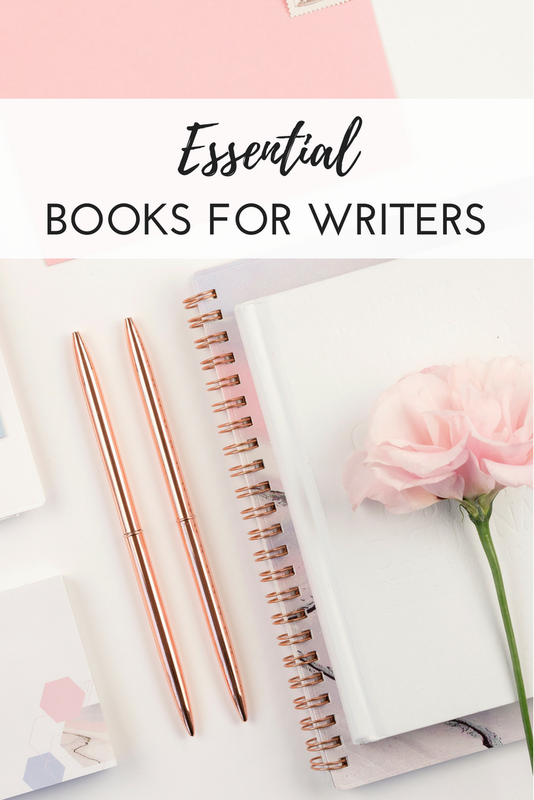 My shelf of writing resources is always evolving and growing, but these are three books that I keep coming back to, and that I find myself recommending to others most often. If you’re in need of a little writing boost, pick up one of these titles at your local library, pour yourself a cup of tea, and get inspired!